Kettering Health Network is excited to present our 6th annual GospelFest on September 8 at the Fraze Pavilion. 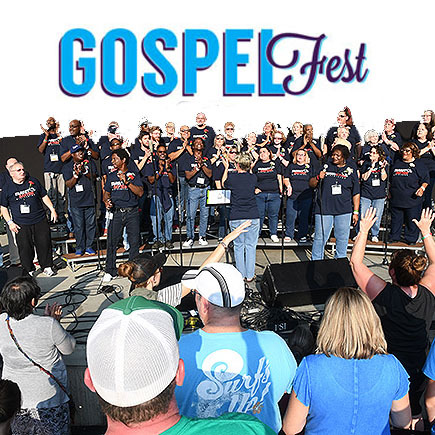 As part of GospelFest, KHN is inviting inviting local bands and musicians to audition for 20-minute sets prior to our featured artists performance. The festival will begin around 5 p.m., and we have four slots for local artists to fill. Individuals and groups are welcome to audition with the goal of having a variety of Christian music leading up to the main event. Kettering Health Network welcomes your help to get the word out about auditions taking place on June 20 at the Rosewood Arts Centre. Please feel free to share this information with your community. For those interested in auditioning, please send your name, contact info, and letter of interest to missions@ketteringhealth.org. More information will be provided to interested parties about the audition process once they have connected by email.